In lieu of doing a Thor: The Dark World review, I want to explore one of two potentially feminist ideas the film demonstrates. 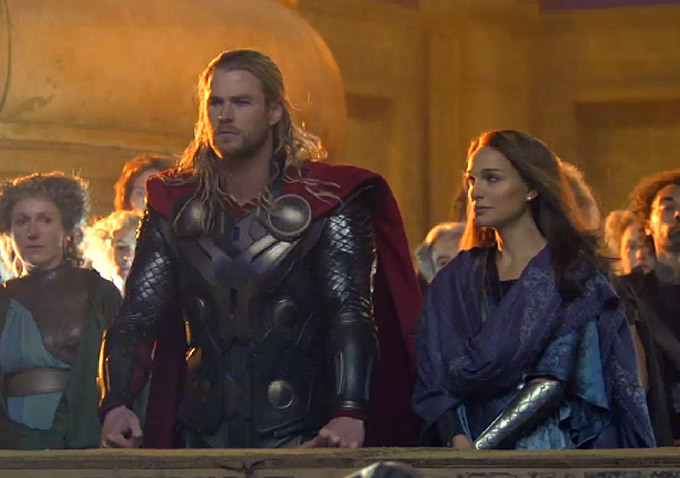 Thor: The Dark World passed the Bechdel test, which is cool, but I found that secondary to a much more interesting, potentially feminist, idea in the film. Is the female gaze a thing now? Before answering the question, I’ve got to back up and briefly explain the male gaze. The idea, as developed by Laura Mulvey, is that cinema tends to objectify women on two levels. On one level, it’s the actual camera fetishizing and objectifying women. On the other level, it’s male characters within the film gazing at female characters. It’s one of those problems of cinema that’s so pervasive that once you hear about it, you’ll notice it in a majority of films. However, in recent years, there’s been a growing trend of reversing the tables and having women check out the men. 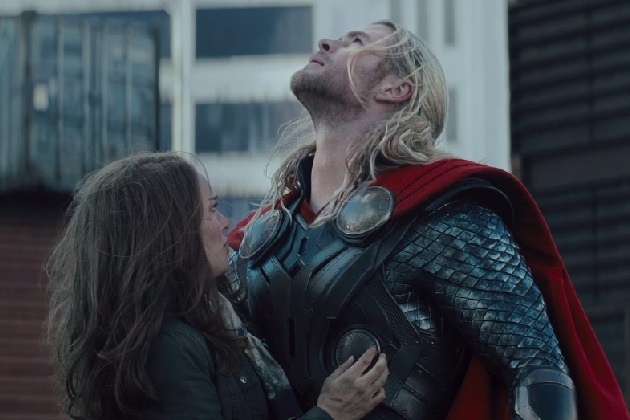 Thor: The Dark World has a couple of such scenes and while this reversal is similar to the male gaze, the film is also a reminder that it’s not the same at all. For starters, that being objectified, in this case the hunky Chris Hemsworth, is a characters in power with a lot of control over his own destiny. Mulvey argues that what often typifies the male gaze on a narrative level is that the female is powerless. 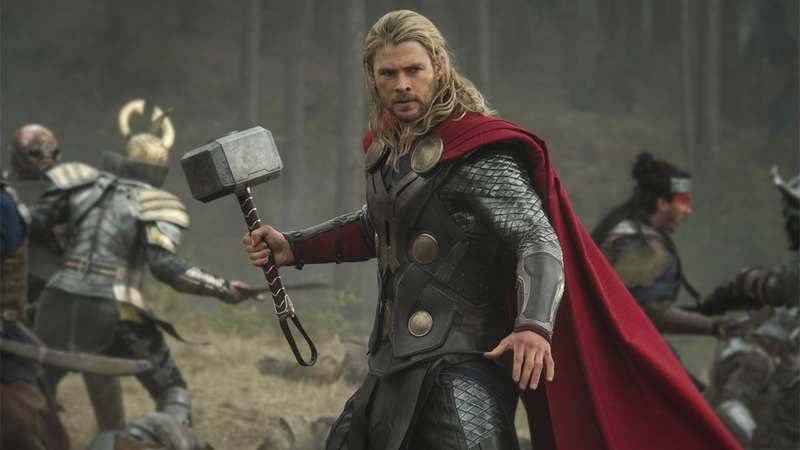 In the case of Thor, that being objectified is an object of power in itself. He’s a god. And his body is a physical representation of his strength. On a second level, the male body is not fetishized. While the fetishization of the female form involves close ups that remove context from the woman as a distinct whole and focus on parts, such as the bust or legs, the male form is almost always presented as a whole unit. The woman may be admiring his arms or his abs, but they aren’t fetishized, or at least not to the degree the female form is fetishized. Another key factor in the notion of the female gaze is that the objectification is often self-aware, comedic or both. When Darcy (Kat Dennings) comments on Thor’s abs, it’s a joke to lighten the mood. Later, when a random lady in the subway accidentally jostles into Thor’s arms to feel him up, it’s a punch line to a joke. The comedic, self-aware tone pokes fun at the superficiality of objectifying Thor’s body. In contrast, most objectification of women is done sincerely as the camera turns the female body into an object of pleasure to be enjoyed by the audience. However, I see a couple of issues facing the idea of a female gaze. The name suggests an equivalency to the male gaze. The female gaze isn’t as problematic and pervasive as the male gaze, in part because it is far more aware of itself and far less likely to fall into the trap of having male characters that exist purely as objects, unlike the male gaze which will often introduce female characters only for the pleasure that can be derived from looking at their bodies. My other issue isn’t so much a problem with the idea itself as much as the problem of dealing with a culture that doesn’t want to come to grips with the rampant misogyny of media. If we have this thing called the female gaze, for some people that will be a complete justification for the male gaze. “Well, they’ll say, women can objectify men, too, so I don’t see what the problem is.” The problem is that the male gaze is pervasive, sinister and derogatory while, in contrast, the female gaze seems more of a spoof of the male gaze than a sincere attempt to derive cinematic pleasure from the male form. I still think the female gaze is good insofar as it makes us aware of the continually rampant problem of representation of women in the media. It inverts the problem, but without bringing the complications and quandaries of the male gaze. I think it can easily be construed and misrepresented, but hasn’t subversive movements always had that issue?